This week, we travel to the heart of Manhattan: Central Park. On the day this photograph was made, it was exceedingly hot and muggy….the time of year (the last few days of August) when many New Yorkers opt to escape the city and take a vacation! Still, it being late on a Sunday afternoon, the park was crowded. Waiting for the light to change so I could begin shooting at my next location, I ended up on the Oak Bridge at Bank Rock Bay. This small inlet at the north tip of the Lake is wonderful. No matter how much boat traffic there might be (and there was a lot of it on that day), it’s pretty quiet at this spot. Hanging around on the bridge, I watched the shoreline reflections in the water. The combination of occasional ripples and interesting play of light created lovely abstract renderings. I anchored the composition with a trio of tree trunks and then waited to see what would happen. 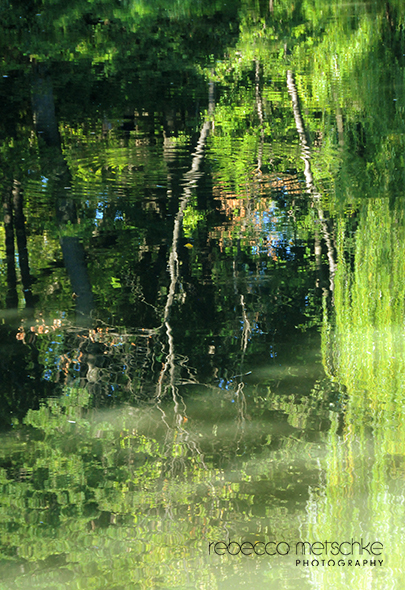 Ultimately, I got the ripples I wanted….in the general vicinity of the trees. I ended up making a series of three photos. For trivia buffs, this bay is popular with bird-watchers. It’s located on the west side of the park between 77th and 78th Streets. The footbridge was restored in 2009, the original having been built in 1860 in the same location. 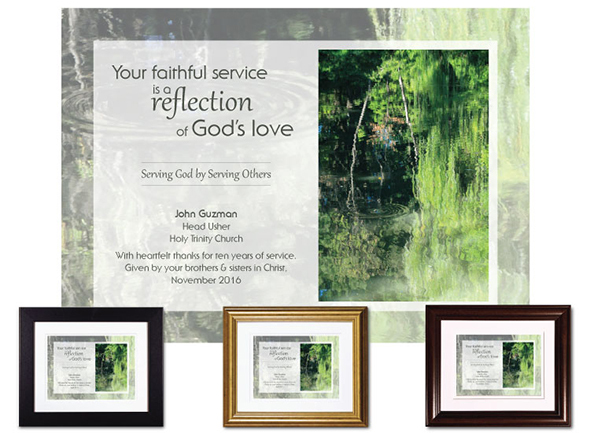 The Back Rock Bay shoreline reflections made their way into one of our personalized service appreciation plaques which speaks to the idea of service being a reflection of God’s love. Stop back next Saturday to see where we travel next! As always, if there’s an image you’d like to know more about, drop me a line. I’ll make sure to add it to the “Where in the World” series.